G&M Craftsman Cabinets specialises in kitchen and bathroom renovations. We are a family owned and operated cabinetry and joinery business who have 3 generations and 30 years of experience in the Sunshine Coast. We pride ourselves on being a one-stop shop in assisting from start to finish with any scale projects. We can do small projects to large scale jobs and everything in between. Through expertise, exceptional-quality craftsmanship and a friendly, approachable attitude, the company strives to deliver high standards of service to our customers. Our goal has always been to "be the best". Our favourite thing is helping our clients with bringing their vision to life. When the concept begins as a picture on paper to see it complete in the happy clients home or business, is the best part of each project and the reason why we love doing what we do. Visit us at Maroochydore to experience our award-winning service for yourself. Located on the Sunshine Coast QLD, The Cabinet House is your one stop shop for all your cabinetry needs. We supply and install new Kitchen and Bathroom cabinets, Wardrobes, Home offices, Outdoor Kitchens and all your storage ideas. From the most modern of architectural designs to a standard kitchen, The Cabinet house can custom build a kitchen to suit your needs and budget. We specialize in all types of kitchens including kitchen renovations and new kitchen cabinetry, kitchen bench tops and flat pack kitchens. Our Cabinet Craft Sunshine Coast showroom displays a wide range of custom built kitchens and kitchen renovation products as well as a number of kitchen bench tops, designer kitchen accessories as well as bathroom vanities, laundry and wardrobes. If you have a renovation, we are your company of choice. Mitchell Cabinetmakers is a full-service renovation company specialising in kitchens, bathrooms, laundry rooms and wardrobes. With over 20 years of design and manufacturing experience, we offer consultative advice of colours, fabrics and decor. Our innovative, functional and creative designs are paired with our up-to-date technology and allow up to work more efficiently. By choosing us, we guarantee: * Pick up and disposal of kitchen, bathroom and appliances * Space cleaned daily before departure and professionally cleaned on completion of work * Qualified and respectful tradesmen, project management of all related tradesmen * Handle all aspects of your renovation including cabinets, electrical, plumbing, waterproofing and framing, accessories and fixtures, tiles, appliances, countertops etc. We will communicate with you throughout the process and will ensure no project will be complete until you are 100% satisfied. Projects are also never replicated and custom designed to fit each client's needs and wants. 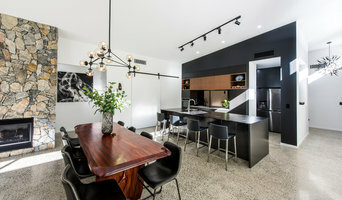 With 20+ years on the Sunshine Coast, our work is made to last as we have not had to replace one of our projects Contact us today to discuss your project and renovation needs. 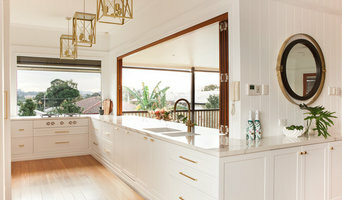 RAW Sunshine Coast specialises in custom made timber furniture and joinery, from dining tables through to solid timber kitchen bench tops and bathroom vanities. Established in 2014 on the beautiful Sunshine Coast, all pieces are crafted by our qualified team of furniture makers, joiners and cabinet makers from our Maroochydore workshop. Caring for our environment, we utilise locally sourced sustainable materials to construct each unique piece of furniture. We take great pride in our creations and only design and handcraft quality furniture that will last a lifetime. Custom made pieces are our specialty and our talented and experienced team of furniture makers can assist you in turning your dreams in reality, from the design stages right through to installation. Our furniture is strongly influenced by Scandinavian design as a result of Katie’s time spent living in Malmö, Sweden. The Scandinavian style is beautiful, simple, with clean lines and is inspired by nature. Our brand new furniture showroom is now located alongside our workshop at 23 Kayleigh Drive Maroochydore. Alongside our own handcrafted furniture, we stock an incredible range of Australian and Scandinavian interior brands. From our showroom you can catch a glimpse of the furniture making process through our viewing window. 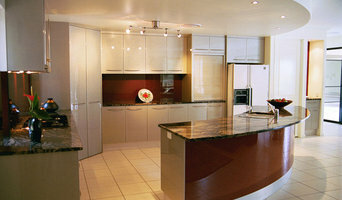 Architectural Interiors, Detailed Joinery, Prestige Kitchens. Luxury Fitouts for residential, commercial, retail and hospitality. When quality matters, from design to completion, we offer our clients a friendly, personalised and professional service, with our dedicated team offering a wealth of industry knowledge and expertise in design. 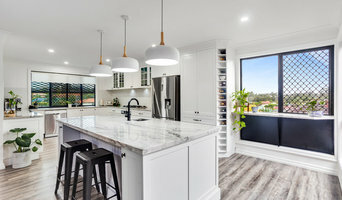 Bold Design Kitchens is a locally owned and operated Sunshine Coast cabinet making business, with a solid reputation for quality joinery and workmanship. Here at Bold Design Kitchens we pride ourselves on our personalised services, compliance with industry standards and our assistance with innovative design ideas and planning. We custom build high quality cabinetry to enhance any space; not only kitchens, but bathrooms, laundries, home offices, outdoor kitchens or anywhere where cabinetry is required. We offer a complete renovation package by working in conjunction with our experienced and skilled building trades such as painters, plasterers, tilers, plumbers and electricians on your project. We invite you to visit our new showroom from Monday to Friday. Come and view our display kitchens and choose your own colours, stone tops and cabinetry finishes from our extensive sample display. Phone us for an appointment, so we can dedicate adequate time to you and your project. Working with the right cabinetmaker enables choices. We help you arrive at the perfect result. Your architect or builder will offer input also. We help create the right outcome by listening and using experience to get the right result. Contact us today. Joinery and cabinet makers are mostly known for their work in kitchens and bathrooms, but their skill set goes much further than that. It is important to understand the difference between carpenters and cabinet makers, which lies in the detail of work. Carpenters tend to work on larger structural projects and this is why many become builders, whereas cabinet makers are masters when it comes to the finer detail. 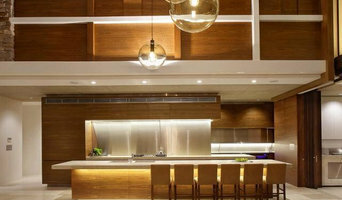 So if you’re looking for detailed woodwork like custom-made furniture for your living room or smart storage solutions, you’ll be sure to find a Sunshine Coast, Queensland cabinetry expert in the Houzz directory of professionals. What Do Sunshine Coast, Queensland Joinery and Cabinet Makers Do? If you know what you want and are ready to take the next step, scroll through this page to find joinery and cabinet makers in Sunshine Coast, Queensland. As mentioned, you can browse their latest projects, read reviews and see how other homeowners rate their work, and message them directly. You can also look through Photos to find examples of joinery you like, then contact the professional who worked on them.